Iako se činilo kako će “plesati samo jedno ljeto”, američko-bugarski sastav EQUINOX nastavit će svoj glazbeni put i nakon okončanja Eurosonga u Lisabon. Ovu vijest je EQUINOX podijelio na svom službenom twitteru profilu putem kojeg od samih početaka komuniciraju s publikom. EQUINOX će potpisati ugovor s američkom diskografskom kućom Universal Music Group i time postati prvi (barem djelimično) bugarski izvođači koji surađuju s ovom proslavljenom kućom. Osim toga, EQUINOX je dobio i svoj službeni Vevo kanal na YouTube-u što također nije pošlo za rukom niti jednom izvođaču iz Bugarske. — EQUINOX (@EquinoxBulgaria) 16. svibnja 2018. Podsjetimo, EQUINOX, osim Zhane Bergendorff, Georgija Simeonova i Vlade Mihailova koji su iz Bugarske, čine i dvojica Amerikanaca – Johnny Manuel i Trey Campbell. Oni su na 63. Eurosongu predstavljali Bugarsku pjesmom Bones koja je, unatoč nešto optimističnijim najavama kladionica, natjecanje završila na 14. mjestu. Albania – Although not confirming Eurovision participation, Albanian broadcaster RTSH has made a call for song submissions for the 57th edition of Festivali i Këngës, the national selection event. 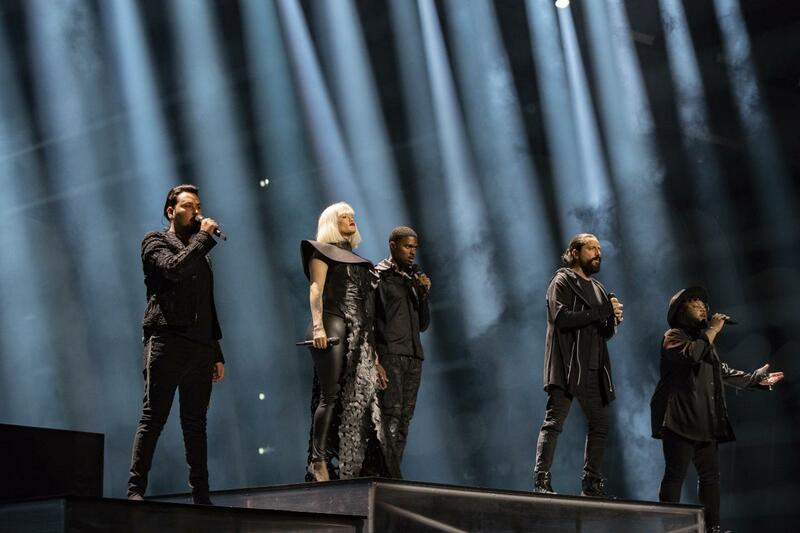 Andorra – Despite being absent for 10 years, local media reported that RTVA was still interested in returning to the contest, but the principality’s failure to make the final along with the cost was discouraging the broadcaster from participating. In order for a return to take place, RTVA would need funding from the Andorran Government. It is currently unknown whether Andorra will receive this funding from the government and whether they will be able to return to the contest. Iceland – While original reports stated that the country would participate, the Icelandic broacaster has since announced they are considering a withdrawal, following a petition which called for the nation to boycott.The result of that withdrawal is pending. Russia – Despite no official confirmation of participation, Russian-Tajikistani singer Manizha stated during an interview at the Moscow Pre-Party for the 2018 contest that she may represent Russia in the 2019 contest with an unreleased song, titled “I Am Who I Am”. Likely next year Russia will take part under the turn of the VGTRK channel, after an agreement of both channels in March 2017 stating that if Julia Samoylova was banned from participating in Eurovision 2017, then Pervy Kanal could send her the following year; and in 2019 VGTRK was going to be in the charge of Russian selection for Eurovision 2019. Kazakhstan – On 22 December 2017, it was claimed that Channel 31 had finalised negotiations with the EBU, allowing Kazakhstan to debut in 2019; however, on 23 December 2017, the EBU told Esctoday that “Channel 31 Kazakhstan has indeed expressed interest in becoming a member of the EBU and hence participate in the Eurovision Song Contest. However, since Channel 31 is outside the European Broadcasting Area and is also not a member of the Council of Europe, it is not eligible to become an active member of the EBU”. Liechtenstein – On 4 November 2017, 1 FL TV, the national broadcaster of the Principality of Liechtenstein, confirmed that the country were planning a debut in the 2019 contest, and that they were currently in the process of applying for EBU membership and are “in [the] process of complying all requirements”. They also reiterated their intention to select the participant through a national selection process in the form of Liechtenstein Music Contest “open to any form of music”. Kosovo – According to EBU guidelines, Kosovo’s participation in 2018 would have been possible due to Portugal recognizing Kosovo as a state. Radio Television of Kosovo (RTK) decided not to participate, however still broadcast the contest in 2018. Israel does not recognize Kosovo, but both states foster good relations. Užas, zašto onda jednostavno nisu stavili tu back vokalisticu na pozornicu ili umjesto ove? Predivan vokal, a ne znamo ni tko je. U finalu su bili vokalno fenomenalni i svidio mi se zbog toga nastup. No međutim ksd promatram bez vokala- ništa posebno. Zapravo išli su na to da ispadnu moćni, ali ispalo je preslabo jer ni sama pjesma bar meni nije nešto. No s obzirom kakve su dosade bile poviše zaslužili su i više. I meni je ovo bolje od Beautiful Mess. Jel se zna jel onu zadnju notu pjevala ova pjevačica ili back vokal? Jer na početku je isti taj glas, a ova ne mrda.